A relaxing body massage that will leave you feeling refreshed and rejuvenated. Warm bunches of herbs stimulate circulation, help to alleviate joint pain and relieve the neck, shoulders and back muscles, while oils nurture the skin and give it a youthful, glowing and firm appearance. Natural oils are beneficial for the skin, have a calming and relaxing effect and alleviate pain. This type of massage helps to relieve stress, feelings of overburdening and discomfort as well as headaches and sleeping problems. A more intensive massage that is performed using various therapeutic techniques, stetching exercises and pressure on the body's energy points. This type of massage improves joint flexibility, blood circulation and the flow of energy through the body. A combination of stretching exercises to improve physical flexibility and stimulate the flow of energy through the body and a relaxing massage with essential oils for a beautiful and youthful appearance of the skin. 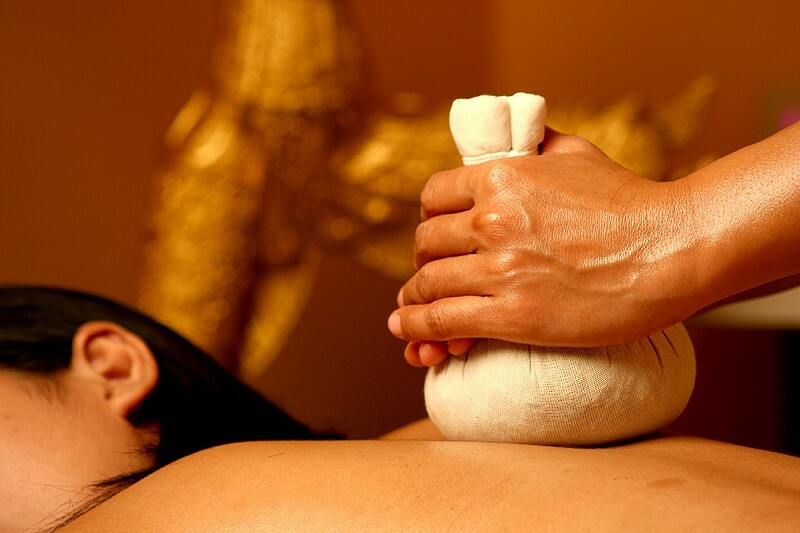 This Hawaiian oil massage is done using a combination of strong and gentle pressures with elbows and forearms. The anti-cellulite massage contributes to a firmer body and reduces the amount of cellulite. The focus is on thigh and abdominal massage. Warm bunches of herbs are used to alleviate pain in the neck, back and chest areas to relieve stress and improve general well-being. Massage oils with lotus, orchid or mandarin aromas help to alleviate neck, back and shoulder pain and improve your general well-being. Dead skin cells are removed with a body scrub before the skin is nurtured with massage milk. The hand and foot massage helps to improve the functioning of internal organs and organ systems. This massage will leave you feeling refreshed and completely relaxed. Massaging pressure points on the feet helps to improve the functioning of internal organs and organ systems. This massage has a relaxing effect, relieves headache and contibutes to firmer, smoother skin with fewer wrinkles. Expert head massage helps to relieve stress and alleviate pain, while the neck massage increases skin elasticity and smoothes wrinkles. Dead skin cells are removed with a body scrub before the body is massaged with essential warm coconut oil.